A savory spin on Swedish baking, pantry, and party cuisine from the coauthor of Fika. 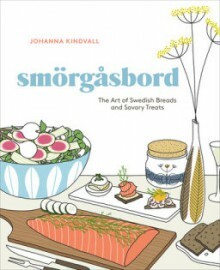 An illustrated cookbook on the classic breads and savory foods of a Swedish smörgåsbord that can be enjoyed for parties and holidays as well as for snacking and small meals. Includes traditional and contemporary Swedish recipes for dishes such as Rye Bread, Chicken Liver Pate, Elderflower Cured Trout, Fresh Cheese, Swedish Deviled Eggs, Buttery Red Cabbage, and infused aquavit liqueurs.